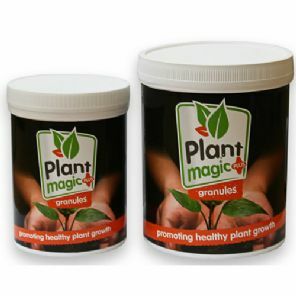 Add Plant Magic Granules to your soil or coco mix and get all the benefits of friendly organisms in your plant’s root-zone. Vastly increased root-mass and resistance to diseases are two of the main benefits but Plant Magic Granules also contain bacteria which fix nitrogen, and improve nutrient availability and uptake. Superb product for fans of natural gardening! Available in 350g and 700g. 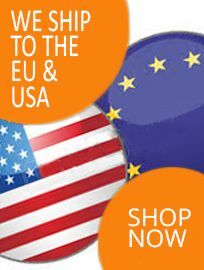 Granules is a granular innoculant made up of Mycorrhiza, bio-stimulants and over 20 strains of microorganisms. All these work to create an abundance of beneficial micro life within the soil. The Mycorrhiza quickly establishes itself forming a symbiotic relationship with the roots. This in turn promotes a rapidly growing root mass increasing the uptake of more water and nutrients. The bio-stimulants both balance and promote the biological activity within the soil, stimulating soil micro-population as well as stimulating root development. Sprinkle a healthy dose into and around the potting hole at every stage of potting up.